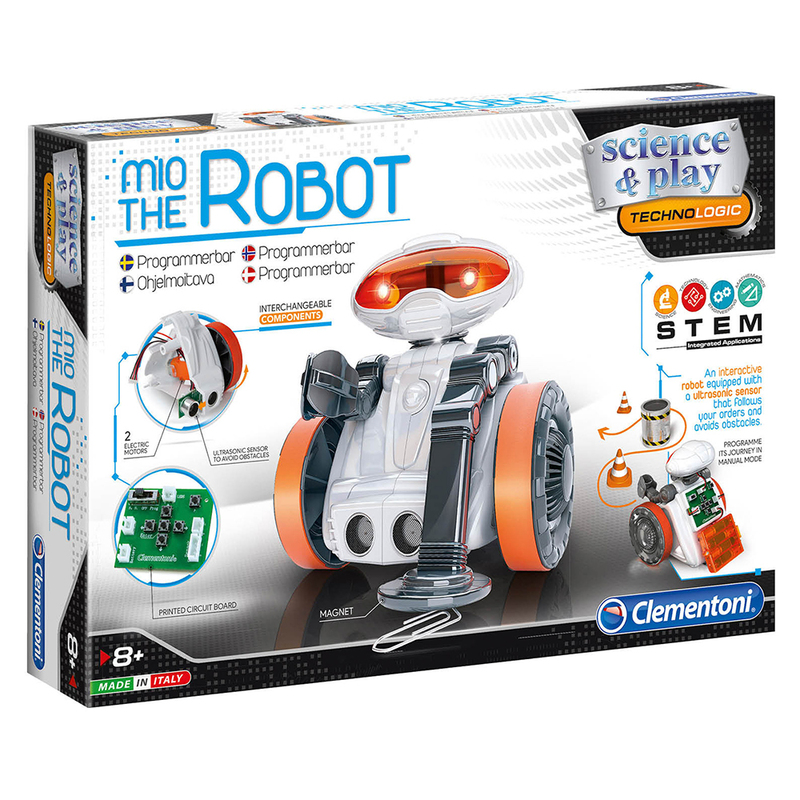 Learn about the ever-expanding world of robotics with Clementoni’s Mio the Programmable Robot! Included in this incredible set is everything you need to master the basics of robotics including a circuit board, electric motors and more. You can even program your robot to complete any specific task you desire, be it to search for metals or to challenge your friends to exciting competitions. What’s more, with such an eclectic range of components and parts, you can transform your robot as you please, thanks to Clementoni. Recommended for children aged eight years and up. Crafted from metal and durable materials. Contains everything you need to create your own robot. Interchangeable components allow you to customize your creation.